George Loring Brown was among the most celebrated of American painters of the 19th century. He began his artistic career as an apprentice to Abel Bowen and received further training from Eugene Isabey in Paris during his first trip to Europe in 1832 to 1833. On his return to Boston, Brown was inspired and encouraged by the aging Washington Allston, and exhibited frequently at the Boston Athenaeum. In 1839 he returned to Europe and settled in Italy, making a comfortable living for nearly twenty years by painting Italian landscapes to sell to both American and European tourists. 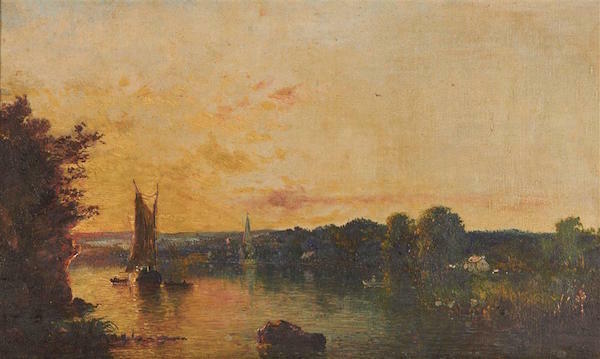 In 1859 Brown returned to the United States, and in the 1860s and 1870s he worked as an illustrator and painter, creating landscapes inspired by his surroundings in New England as well as his memories of Europe. (Landscapes of Europe and America 1834-1880, George Loring Brown, Robert Hull Fleming Museum, 1973). Perhaps Brown’s greatest New Hampshire scene was The Crown of New England, a huge panoramic view of Mount Washington, which was purchased by the Prince of Wales in 1861. Brown exhibited at the Boston Athenaeum, the Brooklyn Art Association, the Pennsylvania Academy of Fine Arts, and the National Academy of Design. 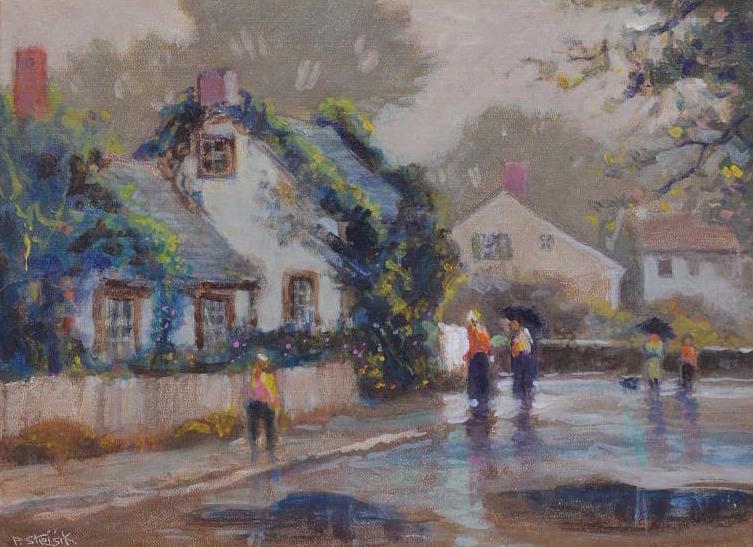 Roger Dennis carried the tradition of American Impressionism established by the Old Lyme Art Colony throughout the 20th Century until his death in 1996. 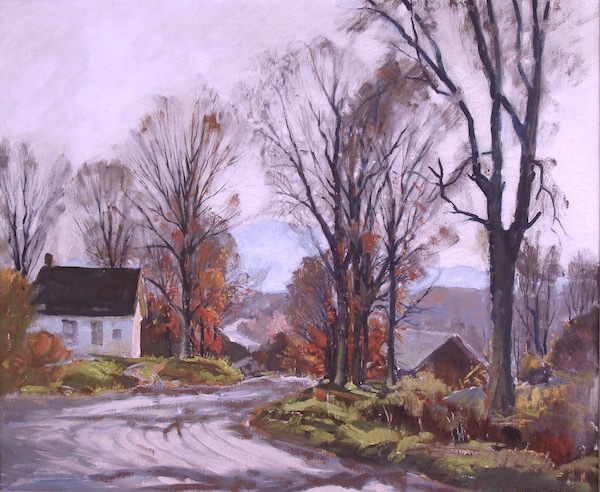 In an interview in American Artist magazine (February, 1988), Dennis, a Norwich, CT native, recapped the major lesson of his apprenticeship: “If John Carlson and the other Old Lyme Impressionists taught me anything, it is that the center of interest is paramount. ‘Don’t try to put the world on a painting,’ Carlson would say. ‘Select one thing, put it down first, and subordinate all else to it, for there cannot be two pictures in one painting. ’ "
Born in Rochester, New York, Carl Peters was raised on a farm but exposed to a variety of artistic movements including the Hudson River School painters, tonalist tradition, Ashcan School, American impressionism, and early modernism. After attending art school in Rochester, he enrolled in the Art Students League in New York City and spent several summers in Woodstock, New York, studying with Charles Rosen and John F. Carlson, the latter being his most influential teacher. 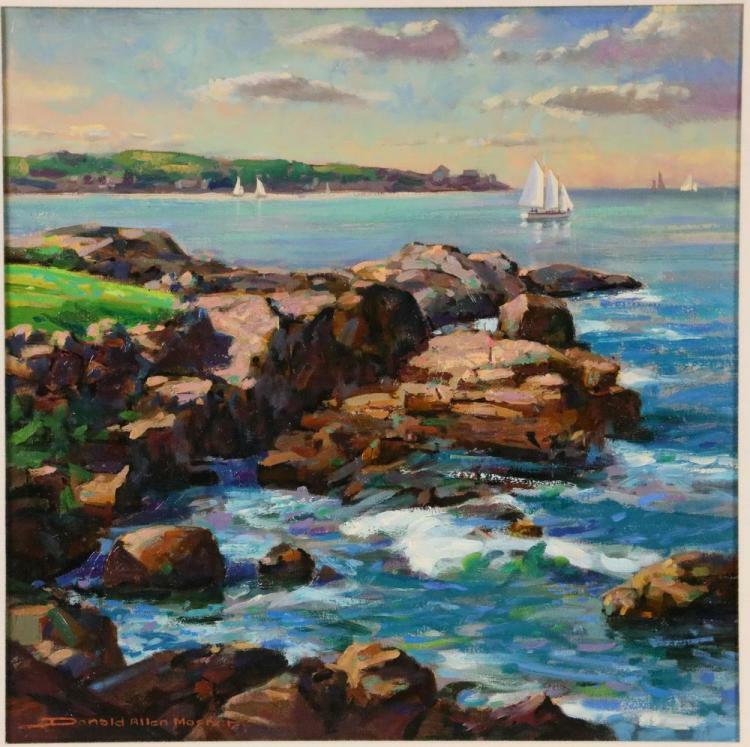 Having grown fond of the art colony life, he moved to Gloucester, Massachusetts in 1925 and had a gallery in Rockport until his death in 1980. Born in 1911 in Limerick, Fergus O'Ryan was one of the major Irish artists of the 20th century. 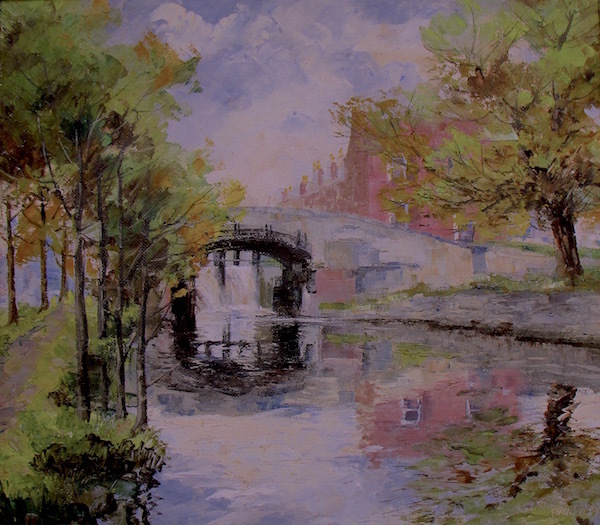 After studying at the Limerick School of Art he moved to Dublin where he attended the Dublin Metropolitan School of Art. 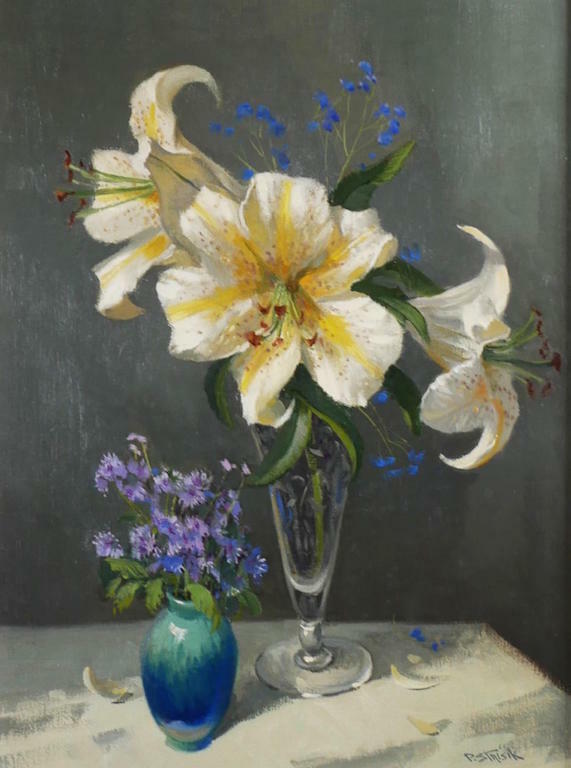 In 1938 he first exhibited at the Royal Hibernian Academy and kept exhibiting there nearly every year until 1984, becaming a full RHA member in 1960. O'Ryan's work is firmly rooted in Ireland, depicting its wild landscapes as well as its busy urban scenes and industrial settings. His style varies from impressionistic strokes to highly-finished details. 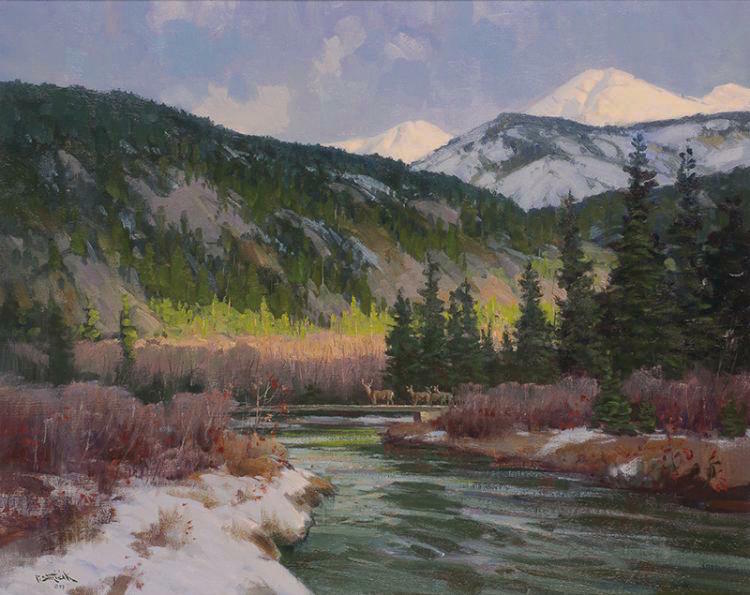 Particularly noteworthy is his ability to evoke the transparency and reflective qualities of water using it as a feature of the foreground. Charles Cobelle was a modern French master of painting, lithography and a fine muralist born in Alsace-Lorraine, France. He lived and painted in Paris until the late 1920s and established himself within the great tradition of the School of Paris. Best known for his use of open lines within washes of tones and colors, he forged a personal style directly influenced by the works of French Fauvist artist Raoul Dufy, with whom he apprenticed as a young man. He studied at the University of Munich and the École des Beaux-Arts in Paris, as well as with Marc Chagall, before emigrating to the United States in the late 1920s. 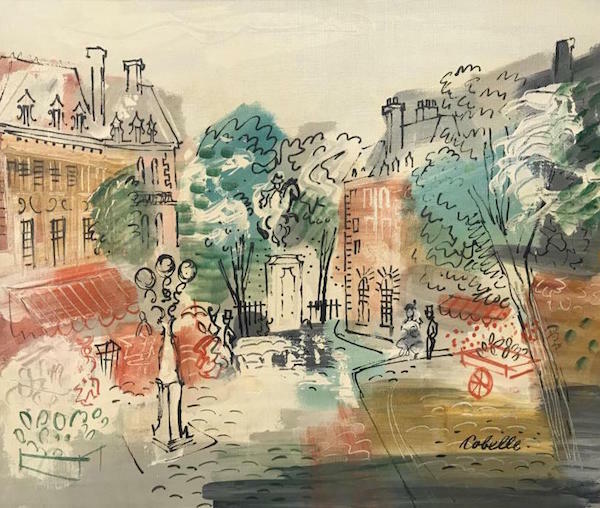 By the 1950s, spurred by the commercial success of his mentor, Raoul Dufy, Cobelle had achieved phenomenal success with his Parisian-influenced style. 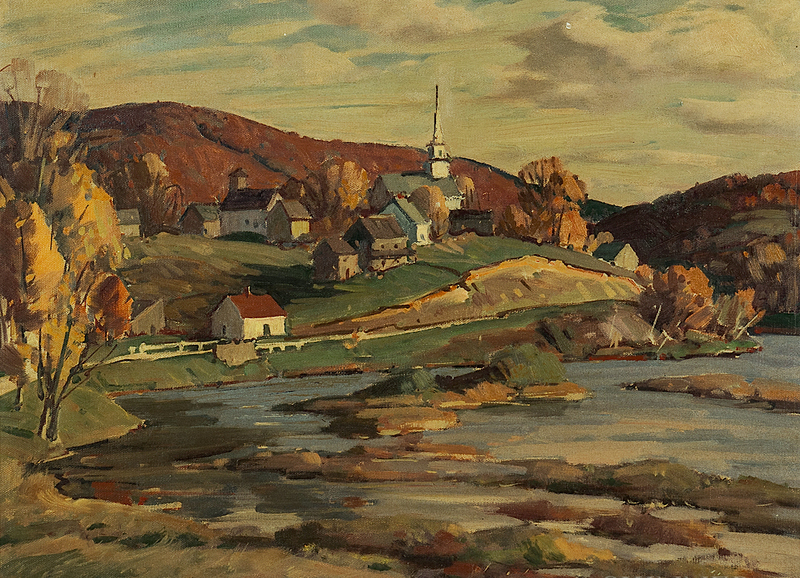 Throughout his long and prosperous career, Cobelle continued painting lively scenes of regattas, horse races, and French towns even after moving from France and settling in Connecticut, where he eventually gained American citizenship. His paintings are characterized by thin, descriptive line-work over broad patches of bold color. 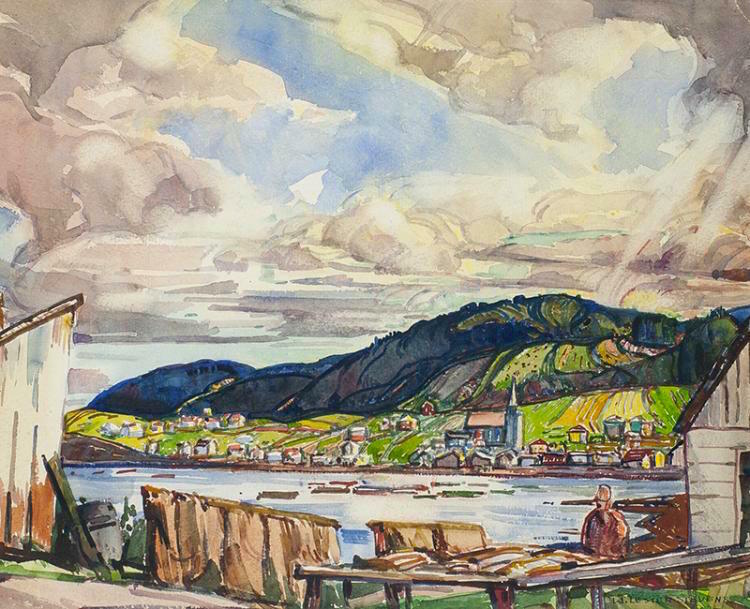 First, Cobelle would map out a scene in blocks of bold, expressive color. Then, he would define the imagery with spontaneous, fluid line work. This imagery, combined with a vibrant palette of expressive colors, creates a world full of verve and wit that effortlessly transcends reality. 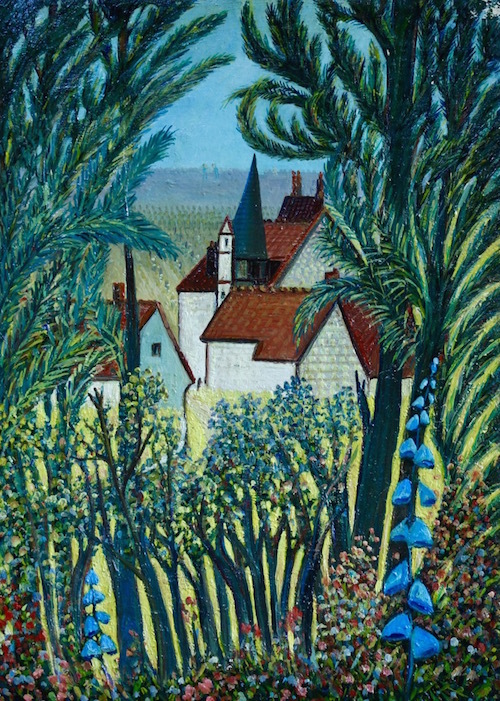 Ferdinand Desnos was a French naive painter in the tradition of Rousseau whose work is compared to his contemporary Camille Bombois. The artist work became critcially acclaimed in 1854 - sadly a bit late for the painter who died just a few years later. He painted nearly 800 canvases and took part in many group exhibitions, including: 1941, the first Salon de la Paysannerie Française, Paris; 1945, Salon d'Hiver, Paris; 1945, Salon des Vrais Indépendants, Paris; From Vallotton to Desnos ( De Vallotton à Desnos), Vevey Museum; 1968, 20th-century Primitives ( Primitifs du XXe siècle), Le Creusot; 1974, Five French Naive Painters ( Cinq peintres naïfs français), Maison de la Culture et des Loisirs; 1977, Naive Painters, National Museum of Modern Art, Tokyo; 1982, The Genius of the Naive Painters ( Le Génie des naïfs), Salon des Indépendants, Paris; 1990, The Douanier Rousseau and the 20th-century Primitives ( Le Douanier Rousseau et les Primitifs du XXe siècle), Musée du Petit Palais, Geneva; 1992, Henri Rousseau and Naive Art ( Henri Rousseau et l'Art naïf), Chiba, Japan, travelling exhibition. Born in Falmouth, MA in 1886, Aldro Thompson Hibbard received his early art training at the Boston Museum School where he studied with Edmund Tarbell, Frank W. Benson and Joseph DeCamp. Due to his exceptional talents, Hibbard received a Paige Traveling Scholarship (1913-15) to study abroad. Hibbard later founded the Rockport Art Association Summer School of Drawing and Painting (1921-28), also known as the Hibbard School of Painting. The Rockport Art Association recently held a special retrospective exhibition for him. 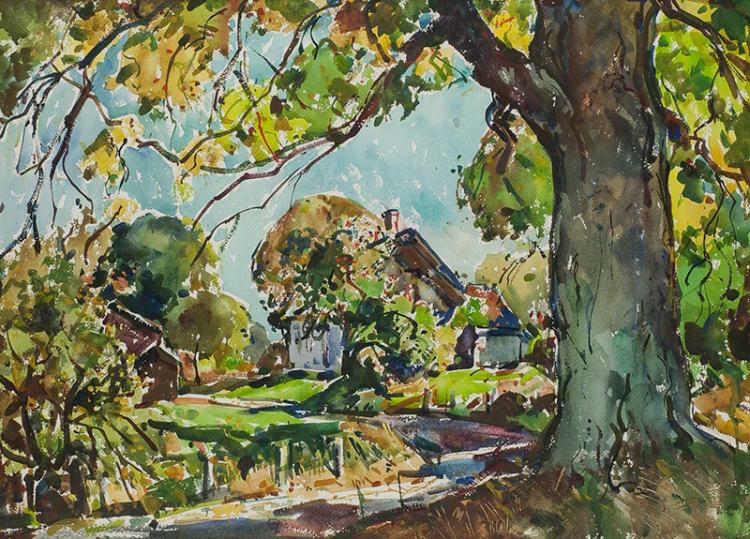 Beginning in the 1920s, Hibbard resided in the Cape Ann, Massachusetts area and spent his winters in Vermont and Jamaica. 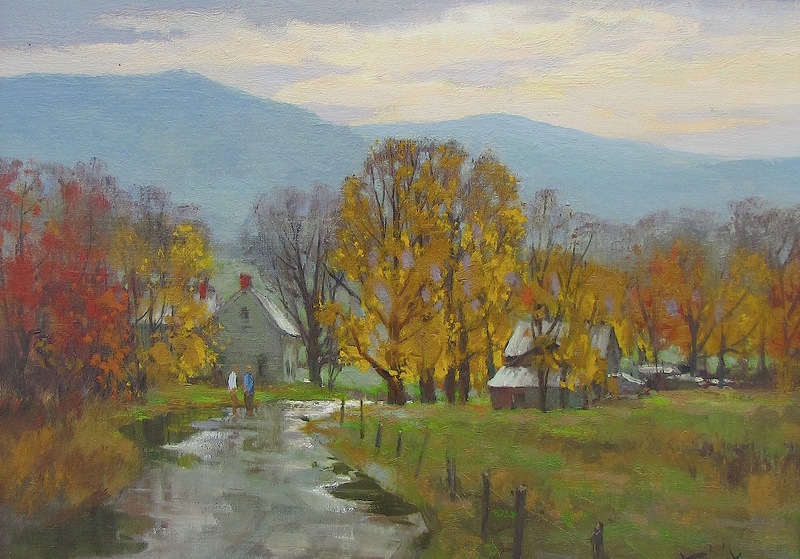 Vermont was the locale of many impressionistic winter landscapes for which Hibbard is best known. 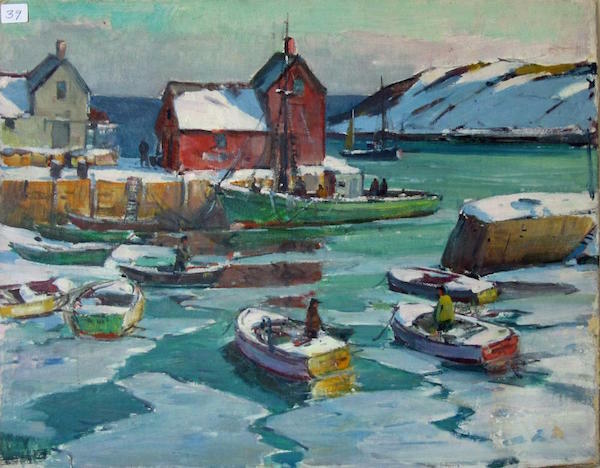 In fact, he was so adept at painting snow scenes, a review in the Boston Globe for the 1918 Guild of Boston Artists exhibition noted: “Hibbard is a realist; you feel the reality of everything he paints, but the sentiment, the poetry is there also.” (1) Source: (1) Cooley, John L. A.T. Hibbard, N.A. : Artist in Two Worlds. Concord: The Rumford Press, 1968; p. 55. Donald Mosher grew up on the North Shore and lived in Rockport since 1980 until his death in 2014. 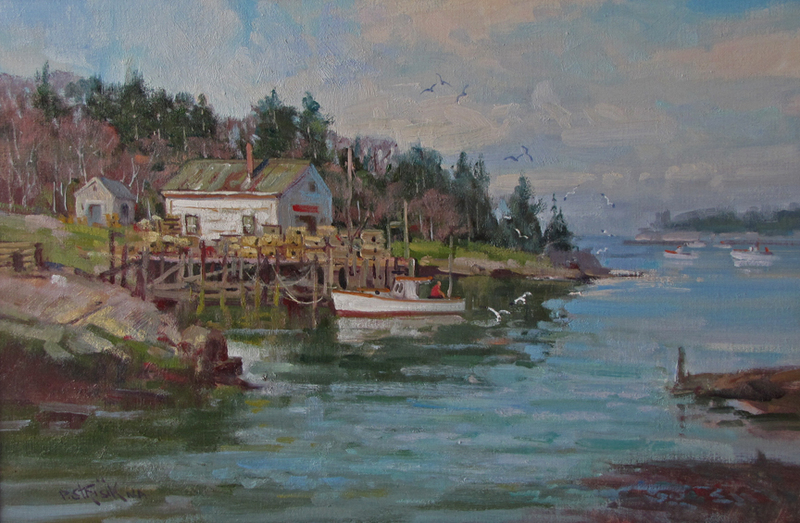 A descendant of ship builders from Nova Scotia and farmers from Maine, Don was naturally drawn to the power of the sea and the tranquility of the New England countryside. His interest in art began after winning his first award at the age of eight, and he has since won over 200 awards for his work. 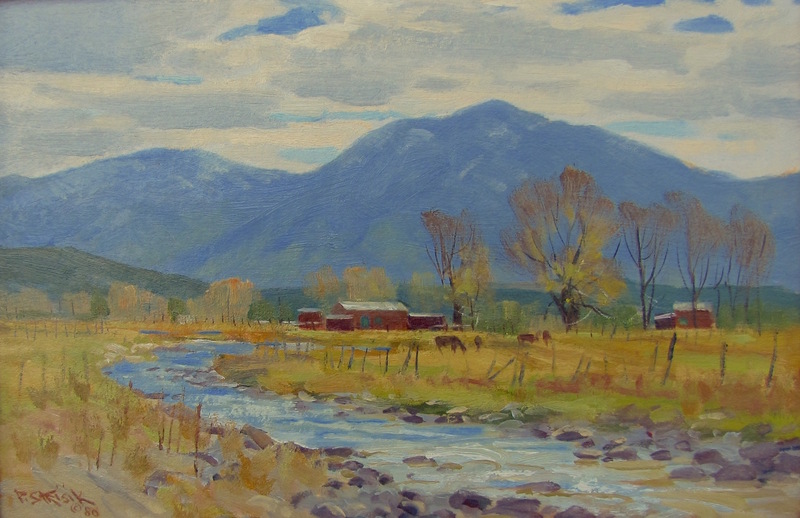 A 1968 graduate of Vesper George School of Art, Don was a painting instructor and has been featured in several national publications including American Artist. His paintings hang in the permanent collections of large corporations, institutions, banks, and private homes throughout the United States and abroad including the Peabody Museum, Portland Art Museum, and the State House in Boston.